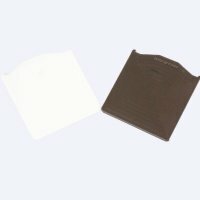 2000mm long / 2500mm long / 3000mm long / 4000mm long / 5000mm long / 6000mm long / 7000mm long available in white or brown. Exitex Capex Snap Down Rafter Supported Glazing Bars are available from stock at Varico Aldridge with nationwide delivery. 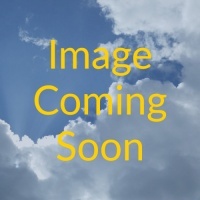 Rafter Supported bars must be supported under their entire length. The aluminium part of the glazing bar is screwed to the rafters, the polycarbonate fitted either side of the bar and the PVC top cap is snapped into place. 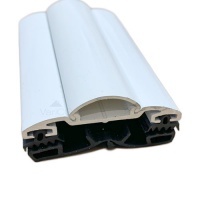 A great glazing bar for car ports, pergolas, canopies or lean to conservatory roofs. Timber conservatories, pergolas, carports, lean to roofs, and more can be installed with the use of rafter supported glazing bars. 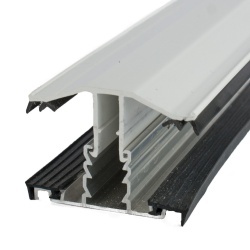 Those bars that we offer can be used with 10mm, 16mm, and 25mm polycarbonate sheets to securely protect people from falling rain and other adverse weather. 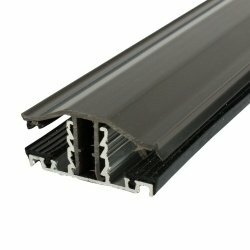 This is not only because the bars are good for ensuring tight glazing, but also due to the extremely strong aluminium from which the bars are made. Putting the bars in place is easy, too. 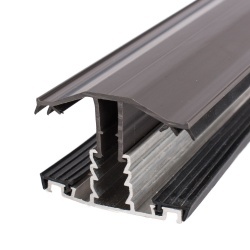 Each bar's base section is attached to timber rafters; then, the aluminium base can be snapped into a durable but low maintenance PVCu top cap, leading the EPDM rubber gaskets to seal. That seal will be weather-tight. Hence, you will be able to enjoy sitting in the building for which these bars have been installed and not have to fret about the possibility of rain, snow, or other, similarly bad weather affecting your enjoyment. Instead, you could just sit and watch the beautiful effect of that weather outside - all while you enjoy the warmth of the building's interior. 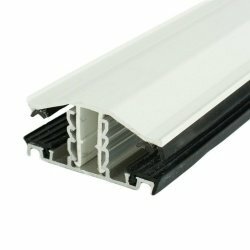 We stock other products that you can utilise during the installation of rafter supported glazing bars. However, these bars should only really be put in place by someone who is experienced in or knowledgeable about doing so - like a DIY expert or tradesperson. Thus, you might need external assistance with having those bars secured.